Do you love visiting castles? Do you long to travel? Then you’re in the right place! At Castlephile Travels, you’ll find travel inspiration, advice and stories that will have you dreaming up your own adventures. You can like Castlephile Travels on Facebook to get updates straight into your news feed, or become a follower on BlogLovin’. Hi! My name is Lauren, and I’m a castlephile. A school exchange trip to Germany sparked my love of travelling, and now I spend as much time as I can visiting places both at home in Australia and overseas. My love of castles came from a childhood of growing up on fairytales and an adolescence spent devouring history from the ancient Greeks through to the Renaissance and the chaos of the 20th century. Beautiful, stark, stately and haunting, castles, palaces and fortresses have been the settings for major turning points in history. My wanderlust has led me to descend in to the depths of a volcano in Iceland, see the world’s most famous ballet dancers perform at the Kremlin, and be caught in a blizzard in the middle of summer. 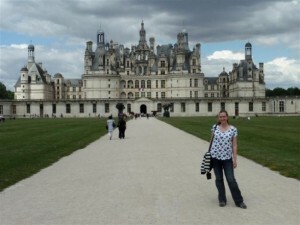 Share my journey as I travel the world, one castle at a time!